you feel like going home and shutting the door. And I truthfully didn't expect today to be a stressful day. finally back home to watch some "Arthur's Christmas". How can that be too bad? Well, as many of you may know, with children, the snowball effect can happen at the drop of a hat. and I feel Cameron was at the point of purposely trying to get us to pull our hair out. But I took a deep breath and just kept on going. And that's when my husband pulled into Hazel Hill. He tells us all to get out and pick out whatever we want. I was just as excited as Cameron. Husbands (significant others, whoever) they seem to have a small radar..."she needs chocolate" it quietly whispers, and they know. so many kinds of chocolate...I feel like I'm at Wanka's factory. You have to make a trip there if you are ever in Topeka. After our indulgence in chocolate I knew we would all be okay. Everyone was a little bit happier! Okay, now onto the main point of this post...our Christmas card from last year. Last year I wanted to test out my own photography skills, so I took the photo myself, and it turned out good, but a true professional would of course had better lighting, background, etc. 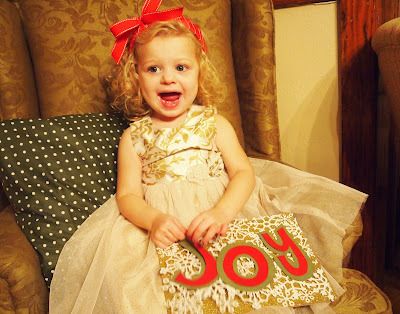 And of course I had to make a sign that said "Joy"! and I just want to spread the joy. For the finished card I put glitter all around the edge. the glitter kept reflecting off the camera. So, that was a no go! I hope all of you are enjoying the oncomings of Christmas as much as we are. Leave a comment and let me know what your favorite kind of chocolate is. 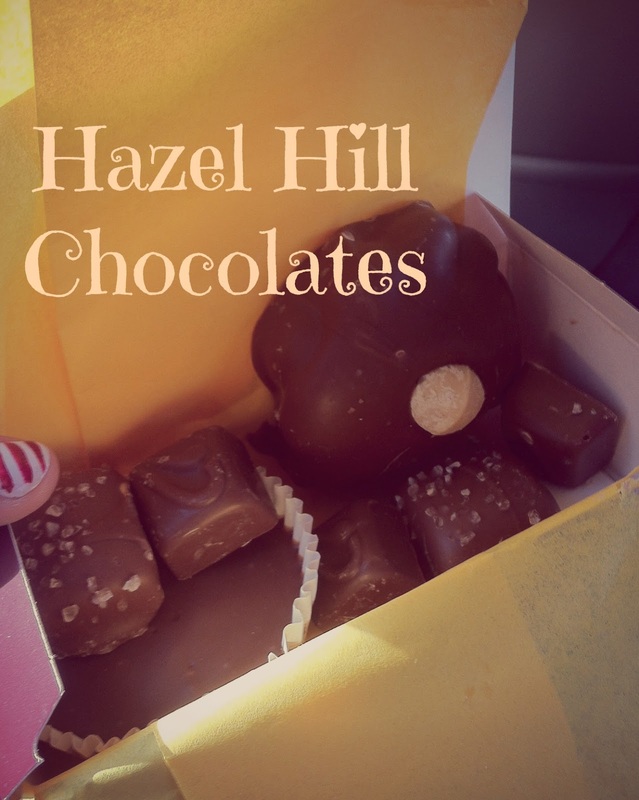 I personally am all about the salted caramel chocolates.